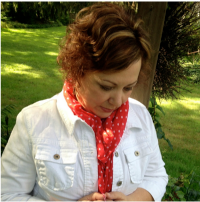 One of my first blog posts ever was to introduce a print that I created of The Doxology. When I first started the blog, my main purpose was to share items that I would be making to sell in my Etsy shop. Little did I know that the blog would become more than a means of advertising my Etsy shop! Even though I love to create new items to sell in the shop, there are times when I would much rather be sharing something new here with you! Over time, the Etsy shop has become secondary to the blog. And, probably at some point, the Etsy shop will close. But, for now, I still have some things listed there for sale and that money helps to supplement my blog income. The photo below is The Doxology print on 11 x 14″ white card stock. Blogging has certainly changed over the years! If you’ve followed home decor blogs for a while, I’m sure you’ve noticed that! Many of us who started a blog didn’t really do it to make money. We started a blog to share things that we love and projects in our homes! Or, in my case, to help promote an online shop. Back then, starting a blog was so much easier than it is today. There wasn’t too many of us in the DIY/home decor niche and it was much easier to get noticed. Now, there are soooooooo many home decor and DIY blogs that it’s hard to find your people! The people that subscribe to get your new content and keep coming back! One of the ways that I use to encourage people to subscribe to Hymns and Verses is to offer free printables every so often! First, who doesn’t like a freebie! And, second, it’s a way for me to do the kind of design work that I love! Today, I’m going to make that very first design, The Doxology, a freebie for you all! A way of saying Thank You for being the awesome followers of this little blog that you are! I sooooo appreciate each and every one of you!!! Thank you for opening my emails, thank you for the sweet comments, thank you for sharing my blog with your friends and family, thank you for pinning something you like . . . I could go on and on! The Doxology was the first of a collection of Hymn Prints that I sold on Etsy. I initially printed these Hymn Prints on fabric, but I had so many orders for them on fabric that I was literally destroying my printer! 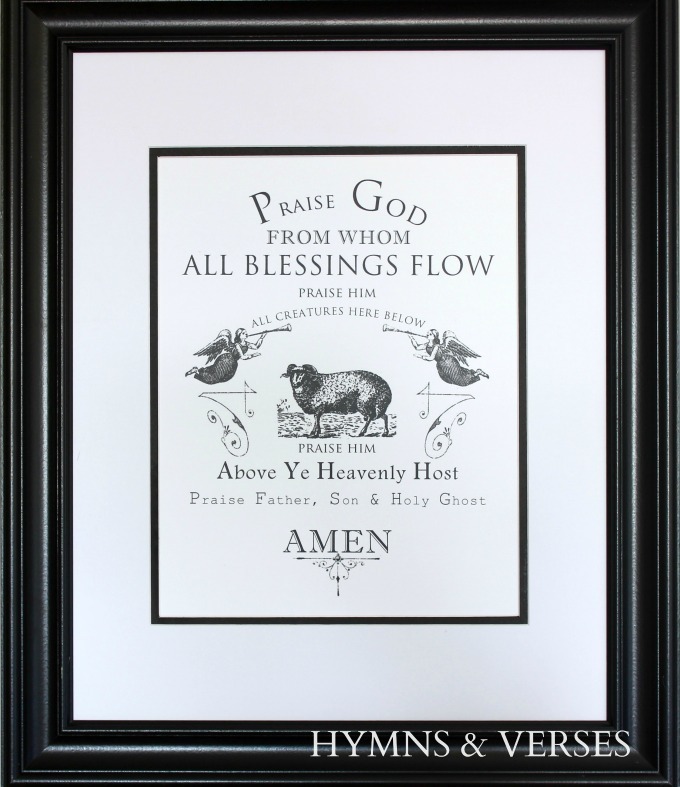 But, these Hymn Prints do look especially nice when they are printed on a cotton canvas fabric or a cotton osnaburg fabric. Both of these fabrics are inexpensive and can be purchased by the yard at Walmart of JoAnn fabric. My friend, Karen at The Graphics Fairy has an easy tutorial that shows just how you can print on these fabrics from your home printer! You can find that tutorial HERE. Even though I’ve designed a lot of prints over the years, this is still one of my absolute favorites. If you’ve purchased one from me, thank you! I really appreciate it! But, it’s time to move it here to the blog as a freebie for my email subscribers. If you aren’t already a subscriber, it’s easy to sign up. Just click the image below and follow the easy steps. Once you subscribe, you should receive an email with the password needed to access my FREE Printable Library. 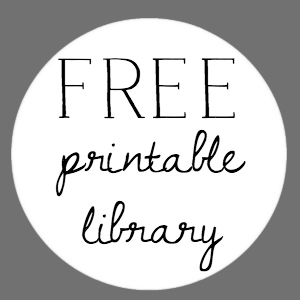 There is a link to the FREE Printable Library on my sidebar to the right and you can access the Library at any time by clicking on that link. Just click either of those links, enter the password, and you will have access to all of the printables there! Thank you so much. The beauty of your hymn prints was what drew me to your blog in the first place. 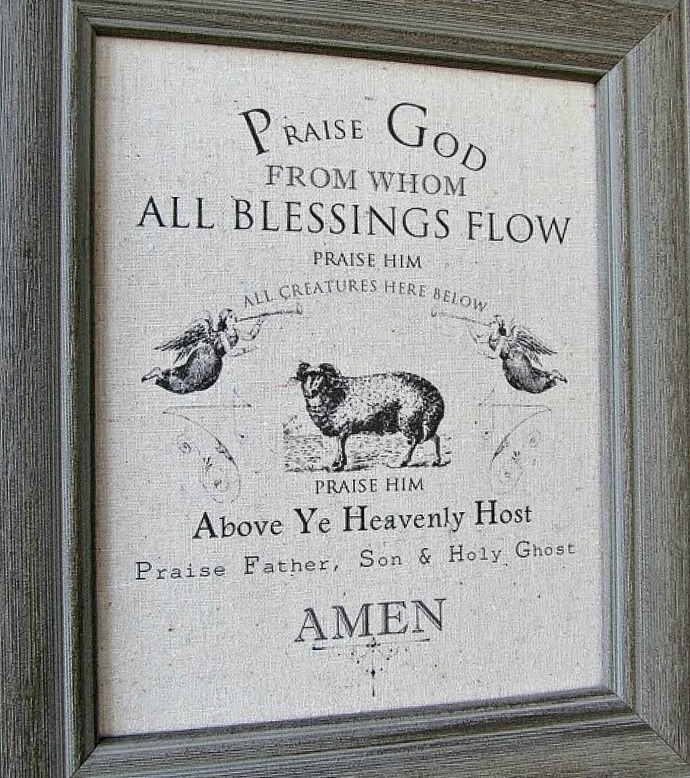 I still love your Great is Thy Faithfulness print hanging in my dining room. God Bless your week Doreen. Did I miss the soup recipe? Where is the soup recipe? Thank you for the soup recipe, soup is my favorite for Fall/Winter. Hi, Annette! 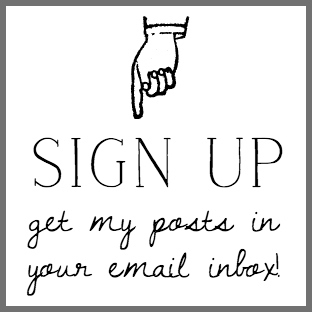 If you get my emails, the link to the printable library and password is included in each email! I love this blog. It blesses me to see the hymns and verses incorporated into your home’s decor. This is something I love to do in my home. I have tried to subscribe several times, even having my submission confirmed through the email, but I have yet to find a password in the email. I would really love the doxology printable by Thanksgiving. Am I doing something wrong? Thanks for any help you can give me, and blessings on you during this special time of year. I really like your beautiful prints! Thank you!